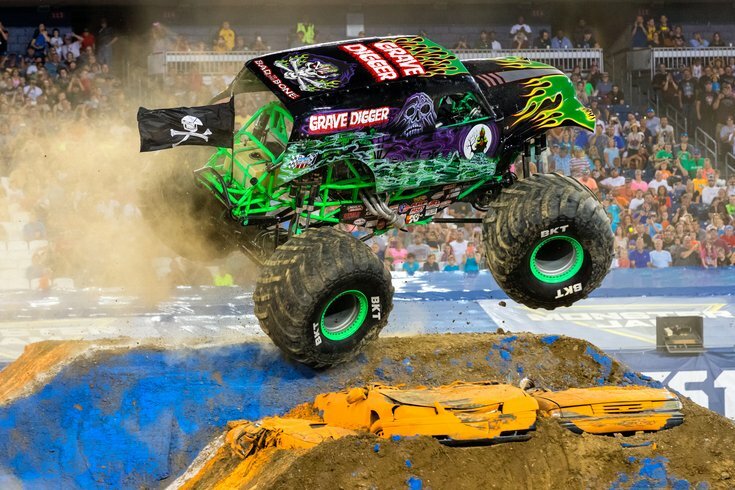 Some of the most popular and exciting Monster Jam trucks that will compete include Grave Digger, Max-D and Whiplash. On Saturday, May 5, families can experience adrenaline-charged, high-flying, four-wheel excitement at Monster Jam. Watch as giant trucks race, do donuts and perform stunts at Lincoln Financial Field. Each truck is approximately 10.5-feet tall, 12.5-feet wide, 17-feet long and weighs 12,000 pounds. Be on the lookout for Grave Digger and Max-D, two of the most popular trucks, as well as the newest truck, Whiplash. Tickets to the 2018 show start at $15. There's also the option to purchase a Pit Party Early Access Pass with an event ticket. The pass offers an opportunity to get up-close to the trucks and meet their drivers an hour before everyone else. Those without early access passes can attend the Pit Party from 3-6 p.m. Monster Jam starts at 7 p.m.